​Have you cut some trees down in your yard and the stumps are still there, did you buy your house and the previous owner had some trees removed and left the stumps for you to deal with or do you have some stumps in your yard and you just don't know what to do with them? These are questions that we get everyday when talking to our customers. At Spartanburg Tree Care, we offer the most professional, dependable and affordable stump removal in Spartanburg, SC. 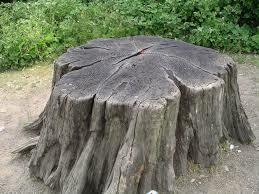 We make it a point to offer the most complete stump grinding service available today in the Spartanburg area. We offer our services to homeowners and landscape service companies in the Spartanburg, SC and surrounding Spartanburg County, SC areas. There are a number of different reasons to have stumps removed, including termites, landscaping, drainage and some stumps just don't look good and you want to have them removed. Plus, trees continue to grow as do their roots if left in your yard. This could cause sidewalk or driveway damage if not removed. There are also reasons to keep stumps in your yard. This would be for the purpose of maintaining the stability of a hill or embankment in your yard. Whatever the reason, if you need to have any stumps removed from your yard, then we are the stump removal company to get the job done! ​We will evaluate the stump or stumps to be removed and use the proper stump grinding equipment to get the job done the right way. We will give your stump a fresh cut and then use the preferred method of grinding the stump, so that nothing is left and you will be able to landscape your yard like there were never a tree there in the first place. Finally, we will leave your yard nice and clean and we will also be happy to remove all wood chips or leave them there for you to use however you would like to use them. Spartanburg Tree Care has been serving it's customers for years. We believe in a job well done and we would love the opportunity to earn your business! Give us a call today for a free quote. We would be happy to answer any questions about tree pruning, stump removal, stump grinding or tree services in general. We offer service to the Spartanburg, Duncan, Inman, Boiling Springs, Moore, Roebuck and Arcadia, SC areas. We look forward to serving you! 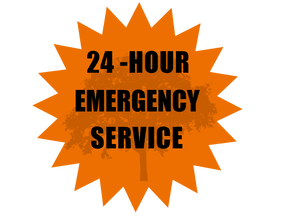 So give us a call today for your fast and friendly stump removal in Spartanburg, SC.